View of Zeitz MOCAA in Silo Square - Cape Town, South Africa. Image Courtesy of the Zeitz MOCAA. Photo: Iwan Baan. International – The most anticipated new museum opening for some time is almost upon us, with the launch of the Zeitz Museum of Contemporary Art Africa (Zeitz MOCAA) opening on 22 September. 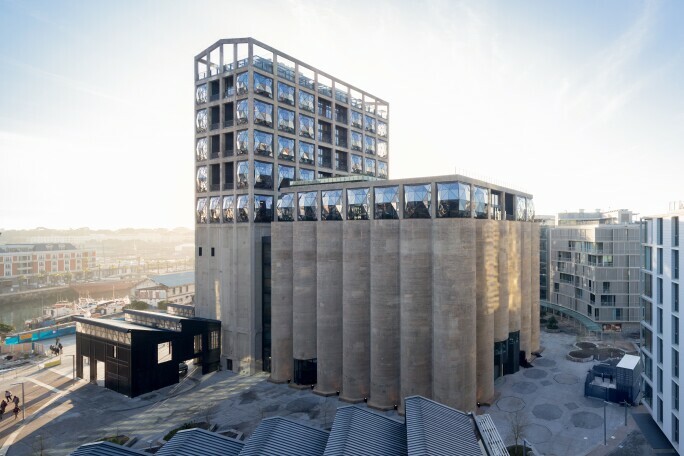 The project has been driven by the German entrepreneur and collector Jochen Zeitz and is housed in the 1920s landmark Grain Silo complex in Cape Town, South Africa. British architects Heatherwick Studio have carved galleries and a central circulation space from the silos’ cellular concrete structure, creating a light-filled atrium. Launch exhibitions include an early career retrospective dedicated to the Zimbabwean-born, South African based artist and activist Kudzanai Chiurai (22 September 2017 – 31 March 2018). Following the opening of the Pérez Art Museum Miami in 2013, the city’s cultural scene continues to develop with the opening of the revamped Bass Museum on 8 October. The expansion project more than doubles the museum, providing 4,100 sq ft of additional exhibition space and a 5,200 sq ft Creativity Center. A vast mixed-media installation by the Swiss artist Ugo Rondinone, entitled good evening beautiful blue (29 October 2017– 19 February 2018), fills the entire second floor (the piece includes 45 life-size figures of clowns). The launch programme also includes solo exhibitions dedicated to Mika Rottenberg (7 December 2017 – 30 April 2018) and Pascale Marthine Tayou (29 October 2017 – 2 April 2018). Rendering of the newly transformed interior of The Bass in Miami Beach by Arata Isozaki and David Gauld. Courtesy of The Bass. © David Gauld Architect, 2016. 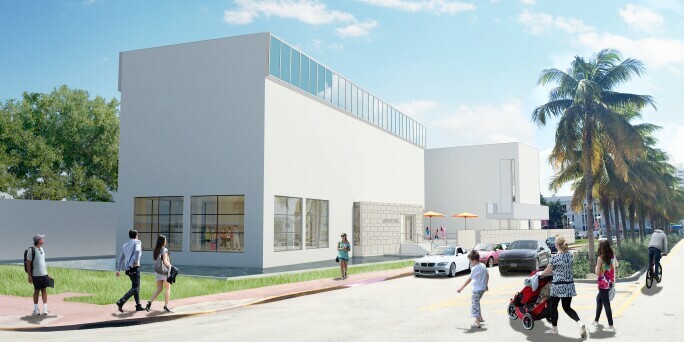 Then on 1 December, to coincide with the Art Basel Miami Beach fair, there is the launch of a permanent home for the Institute of Contemporary Art, Miami (ICA Miami) located in the city’s Design District (the institution has been based in a temporary venue since December 2014). A series of exhibitions and commissions – by artists such as Chris Ofili, Allora & Calzadilla and Mark Handforth – will kick-start its new 37,500 sq ft building designed by the Madrid-based firm Aranguren + Gallegos Arquitectos. 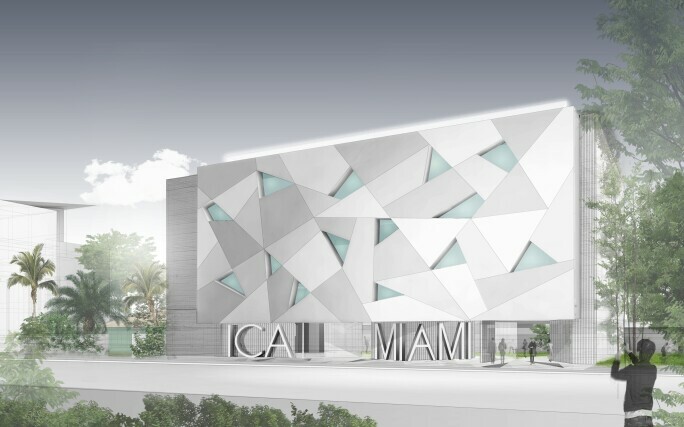 Rendering of ICA Miami, South Façade. Courtesy of Aranguren & Gallegos Arquitectos and Wolfberg Alvarez & Partners. 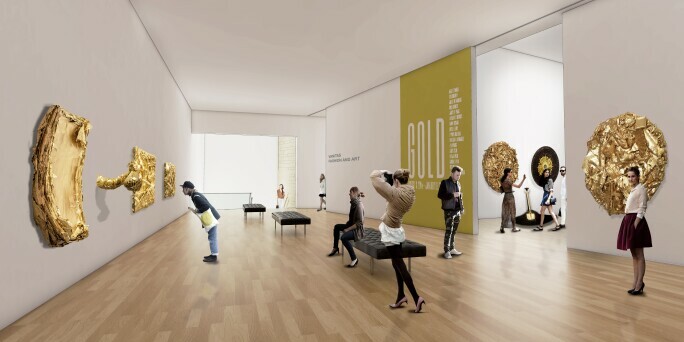 Rendering of ICA Miami, First Floor Gallery. Courtesy of Aranguren & Gallegos Arquitectos and Wolfberg Alvarez & Partners. 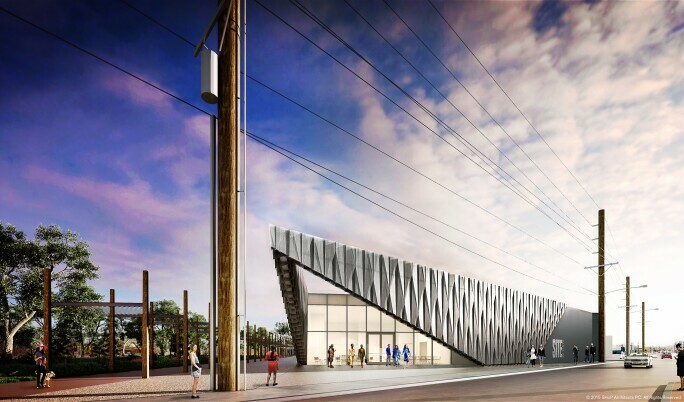 SITE Santa Fe, the leading contemporary art gallery based in New Mexico, is getting bigger. Its new building, designed by New York-based SHoP Architects, opens its doors on 5 October. 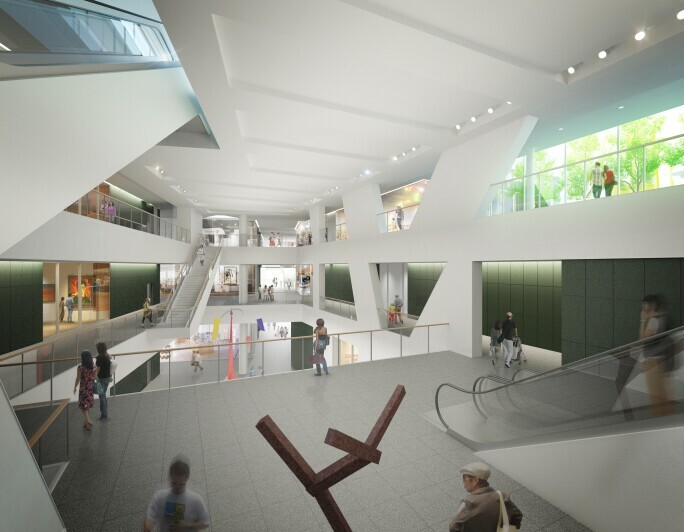 New features across the 36,000 sq ft site include an entrance sculpture court, Learning Lab and Sky Mezzanine. The new space launches with Future Shock (7 October 2017 – 1 May 2018), a group exhibition featuring established artists such as Andrea Zittel, who ponder the themes of utopia and dystopia. Rendering of the front entrance view of SITE Santa Fe. All images and Renderings © 2015 SHoP Architects PC. All Rights Reserved. On 14 October, the transformation of Tate St Ives in Cornwall will finally be complete following a four-year building project. 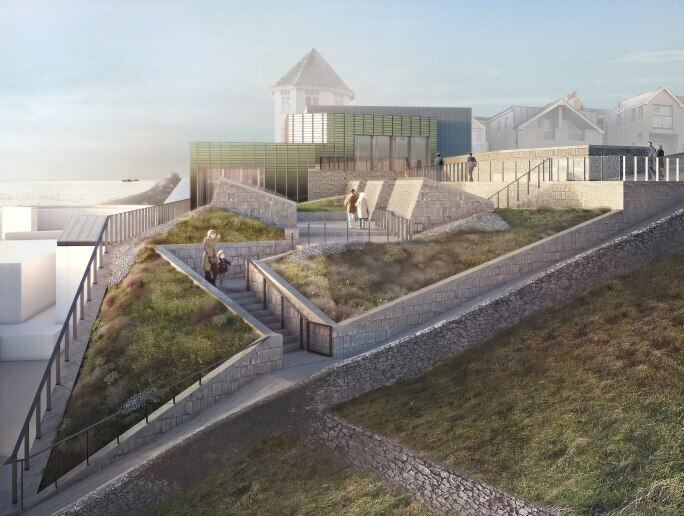 The space for showing art will have doubled, adding over 6,000 sq ft of galleries to the seafront site. A new display gives “a permanent presence to those iconic 20th-century artists who lived and worked in the town”, a Tate spokesperson says. UK sculptor Rebecca Warren, who is showing new works, also looks to the artistic legacy of St Ives (14 October – 7 January 2018). Rendering of the transformed Tate St Ives. © Tate. A series of 14 permanent displays will be unveiled at the newly refurbished Weltmuseum Wien in Vienna, the city’s ethnographic treasure chest, on 25 October after a three-year renovation. The new galleries focus on provocative issues such as Benin and Ethiopia: Art, Power, Resilience and In the Shadow of Colonialism. Contemporary artists also interpret the 211-year-old collection; US artist Rajkamal Kahlon combed the photographic collection, presenting a series of works inspired by her two-month residency. Rendering of the new entrance of the Weltmuseum Wien from Heldenplatz. © ARGE Ralph Appelbaum Associates/Hoskins Architects. 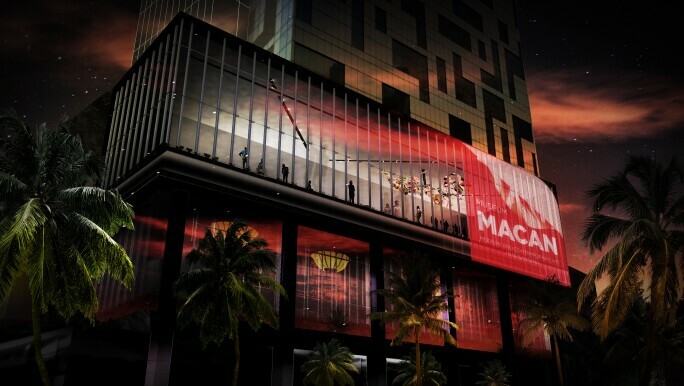 Indonesia’s first museum dedicated to modern and contemporary art, Museum Macan, opens on 4 November in west Jakarta. Around 800 works of art belonging to the businessman and collector Haryanto Adikoesoemo form the basis for the museum’s collection. The launch show, Art Turns. World Turns. Exploring the Collection of Museum Macan (7 November – 14 March 2018), will shine a light on key Indonesian artists such as the 19th century Romantic painter Raden Saleh and the Modernist artist, S Sudjojono. Works by Mark Rothko and Gerhard Richter will also be a star attraction. Preliminary rendering of the exterior of Museum MACAN. The V&A goes global with the planned launch of a new design gallery on 2 December in Shekou, Shenzhen, southern China. The new Shekou Design Museum forms part of the 753,000 sq ft Sea World Culture and Arts Center. Visitors can sample the South Kensington museum’s renowned collection in the launch exhibition, Values of Design (2 December – 1 March 2018), which includes more than 250 objects dating from AD 900 to today. The show “frames a global debate about how design is valued”, a V&A spokesperson says. 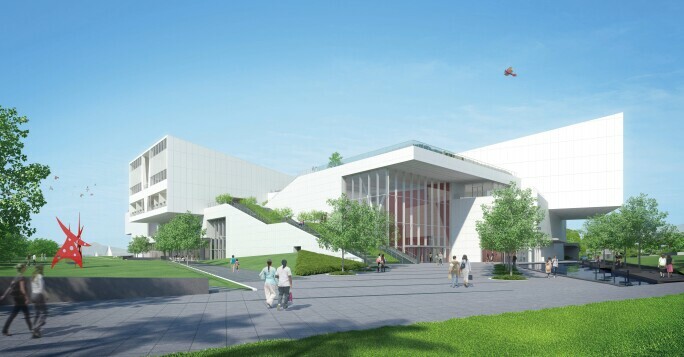 Rendering of the new Shekou Design Museum in Shekou, China. © Maki and Associates. Devotees of Yves-Saint Laurent are looking forward to two museums launching this autumn in France and Morocco, exploring the life and work of the late French fashion designer. The refurbished Parisian museum based at 5 avenue Marceau is due to launch on 3 October, followed shortly afterwards by the new YSL Marrakech Museum on 19 October. Displays drawn from the Fondation Pierre Bergé-Yves Saint Laurent’s vast archive of 5,000 garments and thousands of sketches will be shown at both venues. 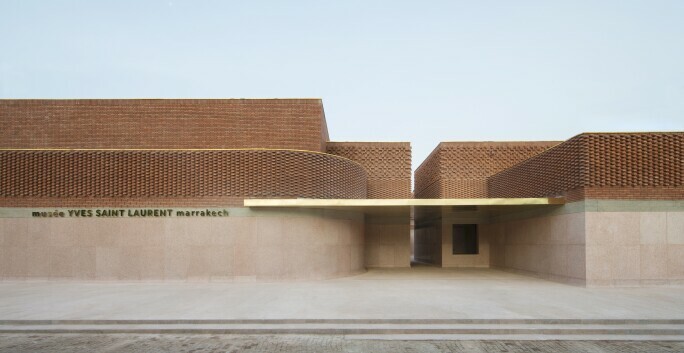 Rendering of the façade of Le Musée Yves Saint Laurent de Marrakech. Fondation Jardin Majorelle. © Nicolas Mathéus. 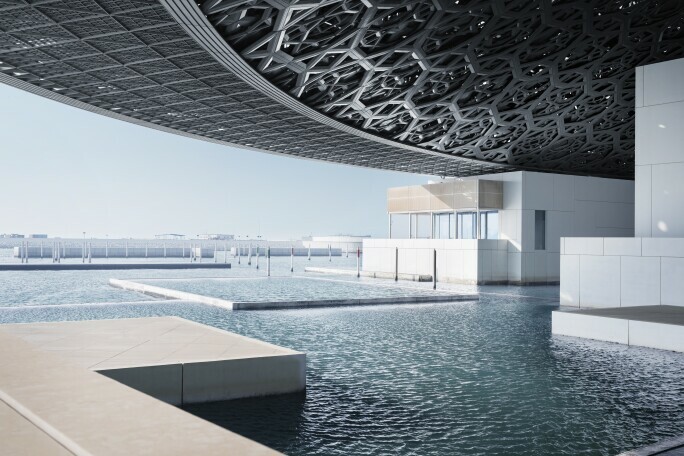 The long-awaited mega-museum, Louvre Abu Dhabi, will reportedly open on 11 November on Saadiyat Island, the new museum and culture quarter in the UAE. The permanent collection includes around 600 works, ranging from Yves Klein’s 1960 body print, Untitled Anthropometry (ANT 110), to Paul Gauguin’s Children Wrestling (1888). Major permanent installations by Jenny Holzer and Giuseppe Penone will be dotted around the Jean Nouvel-designed building. The first temporary exhibition will focus on the Louvre in Paris in the 18th century. Photo: Mohamed Somji. © Louvre Abu Dhabi.